A sweet-singing little wren sits in my crabapple tree on a snowy morning. This painting has been sold. 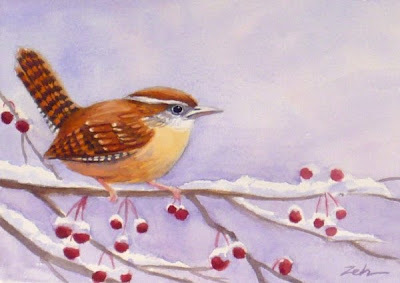 Find my wren artwork for sale in my Etsy shop, JanetZeh.Etsy.com. Thanks and have a beautiful day!